Burno sends along this entry. It is TOTALLY UNSETTLING. Adds Burno, "It's AO, so you better get that trenchcoat and Fedora if you plan on picking this one up." 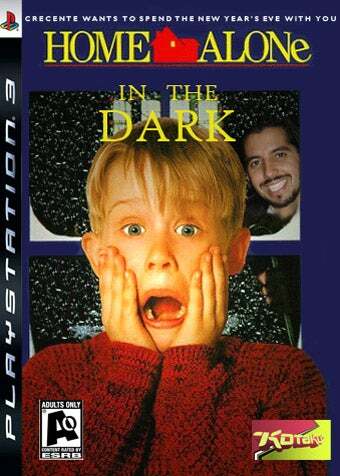 Make your own Alone in the Dark boxart. Photoshop is a-okay! Make sure you incorporate "Kotaku" and "New Year's Eve" into your box art, because the deadline for this contest is, you guessed it, New Year's Eve. Send all entries to kotakucontestATgmailDOTcom.